1st, This machine has been improved designed and manufactured by our company referring to foreigh technology (it is local found). 2ed, It adopts computer control and material-pull motor composition model. 3th,It has such functions as photoelectric tracking,has bags colour bags change function, microcomputer length setting, automatic counting, automatic alarm on reaching the set value. 4th,It is such automatic mouth cutting-off and punching,half or park bore,ribbon-through belt,belt move,side and bottom cutting-off and right-fold,continuous-rolled and divide-rolled machine install etc. 5th, It adopts no the tension to seal an organization, seal and cutting-off synchronously,bottom film beautiful. 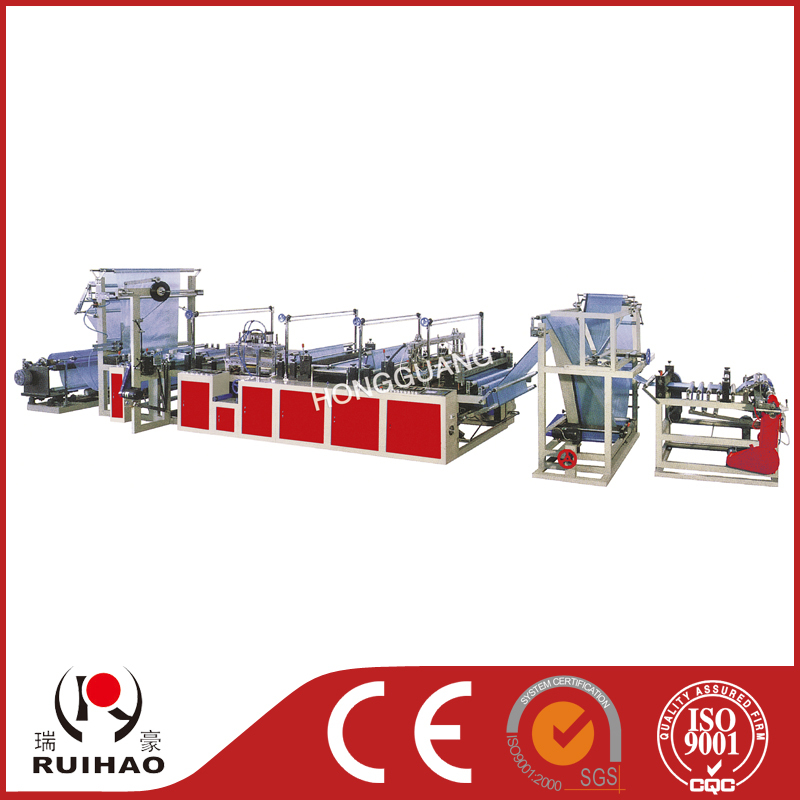 6th, It adopts process continuous-rolled ribbon-though type garbage, continuous-rolled flat bags and flat bags function. 7th, The whole machine adopts a product line,automatic high make,so it is a kind of ideal equipment: for ribbon-through type garbage.